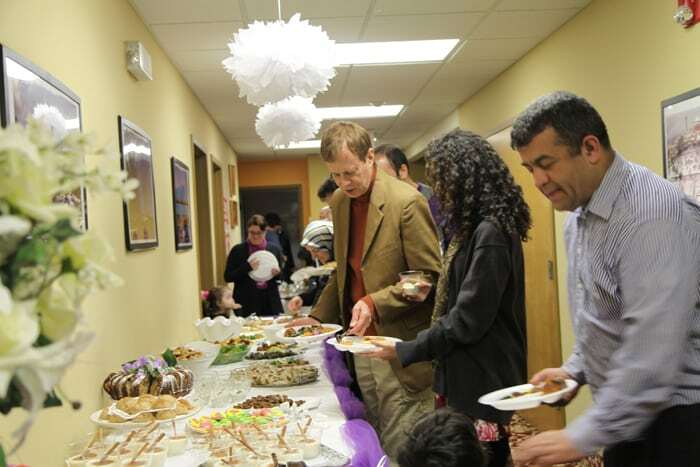 On Saturday February 18, the women’s association of TCC organized a tea party at the Turkish Central Center in Ridgefield, New Jersey. The party was nothing to do with the political Tea Party, though! 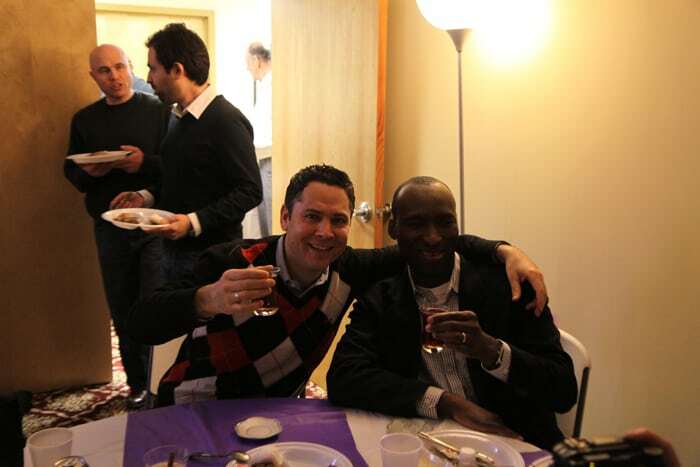 It was a great opportunity for those who had never tried Turkish tea. The event started with an open buffet dinner. A rich variety of Turkish dishes were presented. Then a video about Turkish tea by the author of “Yes, I would love another glass of tea,” Katharine Branning, was shown. 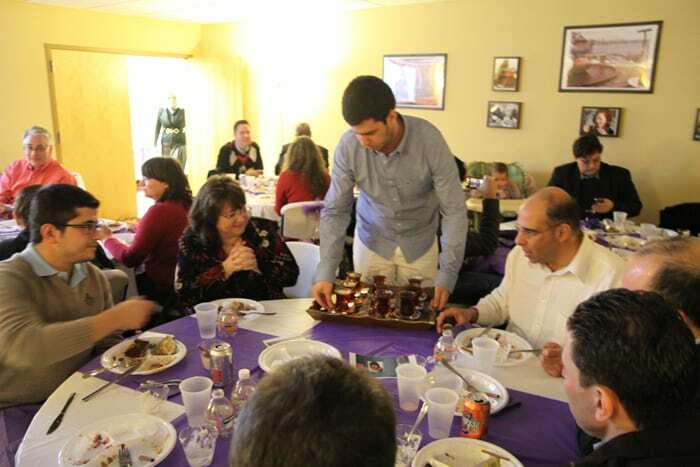 After the video, event host Asli Bilici demonstrated how to make Turkish tea and before quizzing attendees about the process in order it to give out some prizes while guests sipped their tea. This short poem also shows how important drinking tea is in Turkish tradition. Without stopping for tea, it’s hard for Turkish people to chat. Since Turkish tea holds an enormous place in Turkish culture, Turkish tea was introduced at the event. It was Jeri Warick’s first time, too. Ms. Warick said: “Everybody is so welcoming. I am delighted by the hospitality and great food. Too bad some people rejected the invitation and don’t know what they are missing!” Jill Schoed also had fun at the party. “It’s great learning about new cultures. I am glad I am learning about Turkish culture tonight,” Ms. Schoed indicated. Stephanie Fishman said: “I always enjoy coming here. Whenever I come I learn something new. It’s great to be here because everybody is in this group is very friendly. Previous readingSecond Cooking Classes Begin Soon!